Starting August 6th, gamers will have the chance to participate in a 24-hour ARG in conjunction with Blogathon 2005. The ARG is based around Gillian Laramie, leader of the Interred Technology Council, who recently escaped from prison where she was serving time for murder. Last seen in the York area, this places her, perhaps coincidently, where many of her former lieutenants relocated. Players, together with her former employees, will go for a crazy 24-hour spree to hunt down and stop Gillian from attacking again. Though the ARG is, as usual, free, the authors are running the game for charity in support of the Multiple Sclerosis Trust UK. Players are asked to put forth a donation in support of the Blogathon charity event. So far, the ARG has already raised $105.00 for the Trust. 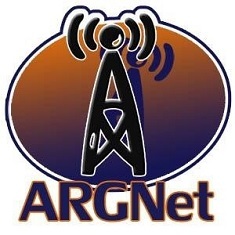 Please support this Blogathon 2005 ARG effort and enjoy the ride as ARGs take another step towards mainstream in the support of charity organizations.